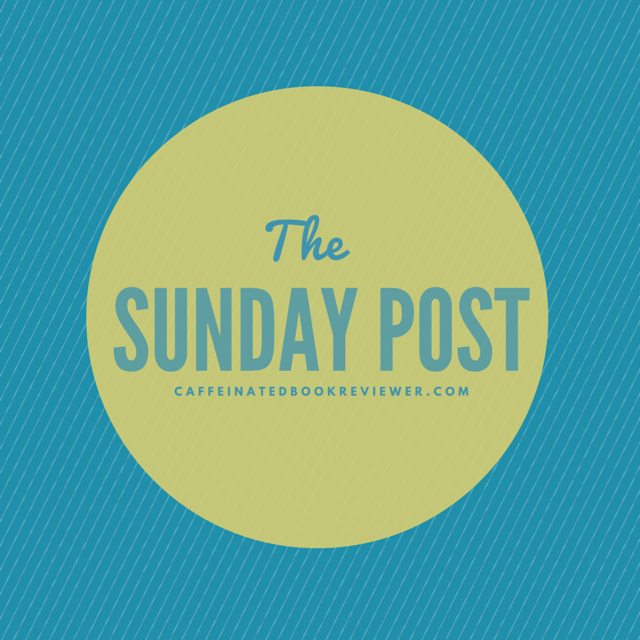 The Sunday Post is a weekly feature run by the Caffeinated Book Reviewer. It gives bloggers a chance to recap the week, talk about news, and show what is in store for the coming week. For more information, visit her blog here. It is officially 2016! I have recently had a lot of time on my hands, so I got a ton of posts out pretty much everyday last week! The links are below in case you missed one! Yes I know, there were a boatload of end of the years! Trust me, I know, it was hard to schedule everything I wanted to do in! Unfortunately, this week I will not have the luxury of posting every day, but I definitely have some posts planned! Check them out…. Carry On Discussion (SPOILER EDITION)- I have so many things I need to gush/rant about that I wasn’t able to put in my review, so if you have read the book, this post is for you! Bout of Books Update- Just a post updating my progress in the read-a-thon I am participating in this week. As always, my brain may come up with some random post idea (which it normally does), and I’ll end up posting it as well. So I am in the process of making some new graphics, so (hopefully) by the next Sunday Post, this post’s layout will be completely different and have some pretty graphics! Passenger comes out this week!! I am so excited to see how it turns out! I only had one post this week, and it explained the declien of posts. My schedule has started back up, and I wasn’t prepared fr how busy I was going to be! No worries though, I am still going ot be posting throughout the week. These are just some of the post ideas I have for this week. As always, who knows what my mixed in! As you know I am slowly changing my blog up. I’m thinking on making a TBR index page, and keep my top ten books on my tbr list. I think it would encourage me to read them so I could update the page more often. Keep a look at for that! GUYS. Queen of Shadows is out next week. NEXT WEEK. We slowly approaching the best season of Fall, where everything is pretty and the best books are releasing. I personally could not be more excited. PSA Bath and Body Works released the pumpkin candles, and they smell heavenly. 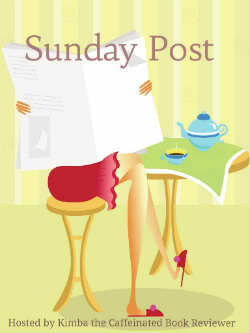 The Sunday Post: Already August?!? I am actually blown away that it is August! July was gone in a second! The past few days were sort of busy for me, so I didn’t get everything I want in 😦 I will be getting to them next week though! These are just some of the post ideas I have this week. 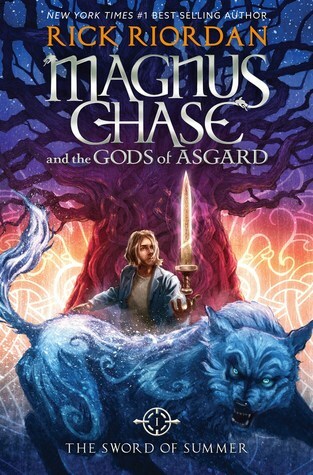 Since I got two reviews in last week, I moved Heir of Fire back. You will be seeing it this week, because I have so many feelings about this series. Bath and Body Works released the Fall candles the other day and I am beyond excited. Fall is probably my favorite season, and I can’t wait for it to get here! As much as I love swimming and flip flops, I’m ready for sweaters and pumpkins!! I went to a bookstore the other day and walked out with nothing. It was hard, but I’m trying to read the books I got before I buy anymore (which is very difficult btw). So that was a big fail on my part. I honestly went into this thinking the book would be thought-provoking and that I would have more discussions on it, but I had nothing. It didn’t stand out overall and was just ehhh. The buddy read this time didn’t go as I had hoped, but next time, I hope it’ll be better. I’m considering teaming up with someone and doing it together or something, I don’t know. I am not able to comprehend the fact that this is the last week in July, and that Summer is almost over! Time goes fast we you are having fun! This week was pretty successful! I’m pretty sure this is the first week in my entire blogging career that I have posted one or more posts everyday during the week. i doubt that will happen to often, but it is still cool to blog all week! These are just some of the post ideas I have this week. I have 3 reviews coming, so I may split them up a bit, so one may be coming next week. As you can tell. Find Me at the Library went under some construction this past week. How do you guys like the new theme and design? I just happened to come across this while looking at themes, and it had everything I wanted. I made some new post labels and it’s starting to look pretty good. I’m even working on expanding my menus, so keep checking those as well! I finally made a rating system! Check it out under the Book Reviews tab! 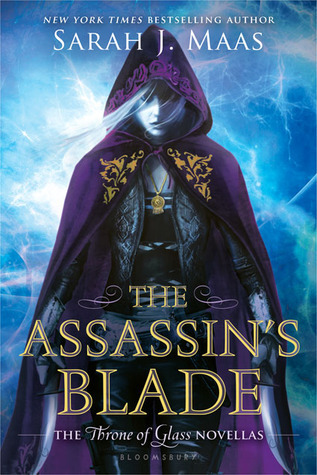 While I love the Throne of Glass covers, this novella’s cover is absolutely breathtaking, and I needed it on my shelf. 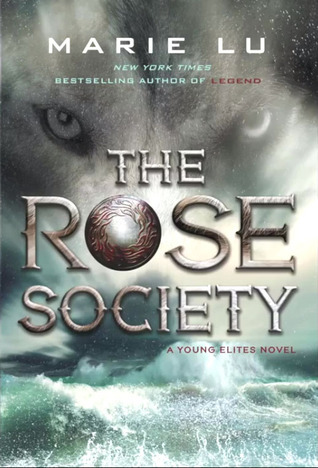 Can’t wait to get to this, because I want more Celaena!! I can’t believe we are already this far into July! This summer really is going by fast! The topic is about diverse books, and if I can’t think of enough, I’ll pick an older theme I haven’t done. Who knows what else I may think of this week. I BROKE MY BLOG. Don’t worry I think I got it fixed now. All I was doing was playing around with the design, as I am thinking of making some modifications in the future. One thing leads to another and then I end up with a blog with no menus or pages. I started this blog a little over a year ago, so I had forgotten the method I used that had taken me forever to figure out in the first place. After a few youtube videos and some clicking of buttons, I got it back to how it was. However, if you were on my blog at that time, I apologize for the absolute chaotic state it was in. IT IS SO HOT. As soon as you walk outside you feel like you are stuck on the sun. As much as I love swimming and wearing tank tops, I’m slowly getting over summer. Fall is my favorite season and I just can’t wait for sweaters and boots and comfortable weather. Not to mention all the lovely books coming out in fall! I keep seeing the middle grade book “Descendants” by Melissa de la Cruz and I am so intrigued. It has these “Once Upon a Time (the show)” vibes and I really want it. 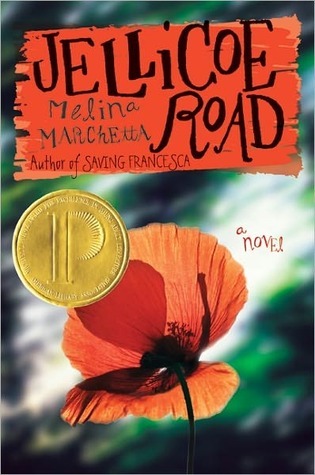 Maybe it’ll be my new middle grade book love. ABC Family cartoon weekend is the best way to spend a weekend. 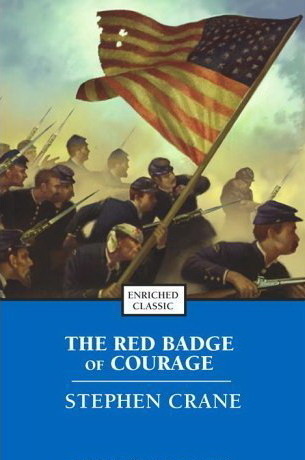 This week I revealed what book we would be reading for the buddy read. I am planning on starting Say What You Will fairly soon. All the discussions start on July 28th, so if you want to participate, you have a lot of time still! I have one person so far interested in doing a post on their own blog, but if any others are interested, just let me know. Happy reading! The Sunday Post: Fourth of July Weekend! I hope everyone who celebrates Fourth of July had a great weekend! IF you don’t celebrate it, I hope you still had a great weekend! Akarnae Review– MY review on Lynette Noni’s new book. AS you can tell, this week was sort of a dud. I just felt weird this week, and had absolutely no ideas. I did get my tags done though, so that was one success I guess. And some other random stuff I’ll throw in. I just realized that October is closer than I expected. It’s not super close or anything, but I’m closer to reading all my anticipated books, which is exciting! I need some book suggestions! If there are any last-minute ideas, please let me know, because everything will be set in motion this week! Wow, I didn’t realize how much I posted this week! With the snow and everything I just stayed indoors, so I had a lot of time on my hands. It won’t always be like this, but I do like how this array of post is a variety. Some reviews, some features, some tags. Everything is so busy right now! I hate not being able to post on here as much as I would like. Right now I could really use some advice on how to keep on with the blog. Any tips on editorial calendars or scheduling or anything. Seriously, any input would help so much because I’m in a stuck position right now! If you have any advice, please leave a comment below! Also, I’m looking to improve, so if you have any ideas let me know down below as well. What posts should I have more or less of? More review? More discussions? Everything is helpful! Thank you all so much for sticking it out with me as I try to figure everything out! There has been a lot of things going on in the book community, so I decided to share some I saw. I haven’t really though much about this week. Set the clocks forward last night for daylight savings. I didn’t really mind losing an hour of sleep because it just means we are closer to spring. The snow is melting and it is starting to warm up outside. I just can’t wait to be able to read outside again. My Disney Song Tag got a surprisingly great response and I see it floating around a bit. I love making tags more than pulling them off internet, so I’m going to put my thinking cap on and hopefully come up with some new ideas. I almost forgot! You might have noticed how the tabs up top ^ have changed. I added Book Discussions, Features, and Tags. I can now organize a lot better. Book Discussion will just be anything relating to books. The Features tab will have all my Top Ten Tuesdays, Sunday Posts, and Exploring My Bookshelves. And tags will have tags, if that wasn’t self-explanatory enough.